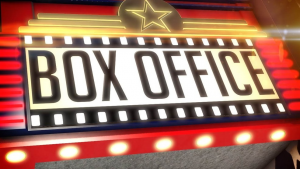 Welcome to the very first iteration of Box Office Weekend, a weekly series of articles discussing how the biggest movies that are still playing in theaters are doing. Today’s subject – Avengers: Infinity War having the biggest domestic and global opening weekend and subsequently dominating holdovers from previous weekends. This piece has been updated with official numbers from their respective studios. According to BoxOfficeMojo, Avengers: Infinity War had a Titan-sized opening of nearly $257.7M over the three-day weekend in the United States and Canada. That makes the film the sixth to open above $200M in these two regions alone, and as of right now, the film is outpacing Star Wars: The Force Awakens, which opened to a total just shy of $248M. Some records that it has cleared stateside include the single-biggest single-Saturday and single-Sunday grosses, the biggest opening weekend for the month of April (easily eclipsing Furious 7‘s $147.1M opening weekend). With screenings in 4,474 locations, the movie has the second-widest release ever and the second-biggest per-theater average with each theater grossing roughly $57,599. With an opening like this, it’s becoming increasingly likely that Infinity War will become the movie that tops $1B in the shortest possible time, potentially beating the twelve days it took for The Force Awakens to reach that milestone. The film’s international rollout was incredibly impressive as well, making a little over $382.8M in 52 markets – with the film registering the single-biggest opening weekends ever in South Korea, the Phillippines, Thailand, Indonesia, Malaysia, Mexico, Brazil, Peru, Chile, Ecuador, Venezuela, Bolivia, South Africa, the United Arab Emirates, and the entire regions of West Africa and Central America, according to Deadline. In addition, the movie is the biggest opening for a foreign film ever released both in India and Turkey. As for the other holdovers, many of them took sharp drops in response to the sheer demand that the third Avengers movie generated. One exception to this was Black Panther, which actually saw a bump in business ($4.7M on Week 11!) by fans who were either completing their MCU viewing marathons or just wanted another good look at Wakanda before seeing Infinity War‘s climactic battle in the location. (Which proves, once again, that “Superhero Fatigue” only exists in the minds of people who simply don’t “get” superheroes and want them to go away.) That movie took fifth place for the weekend. In non-Marvel news, Paramount’s sleeper hit A Quiet Place had its biggest drop yet – which, for frame of reference, is still under 50%, a testament to how well the movie has held over – and made $11M, holding a distant second place. Perhaps what’s the most dramatic – if predictable – drop this weekend is the Dwayne Johnson video game adaptation Rampage from Warner Bros. and New Line Cinema, which dropped 64.1% to a $7.2M total in its third weekend. Fox Searchlight’s comedy Super Troopers 2 also took a tumble with a 75.4% drop and a $3.7M total, which is to be expected considering that the belated sequel opened well above expectations last weekend. Another big drop came in the form of Ready Player One (also produced by Warner Bros.), which decreased by 65.4% and made $2.5M, although that movie was already in its fifth weekend. Avengers: Infinity War (Disney/Marvel Studios) – $257.698M Total. A Quiet Place (Paramount Pictures) – $11.004M Weekend/$148.528M Total; 47.4% Drop. I Feel Pretty (STX Entertainment) – $8.176M Weekend/$29.621M Total; 49% Drop. Rampage (Warner Bros./New Line Cinema) – $7.205M Weekend/$78.031M Total; 64.1% Drop. Black Panther (Disney/Marvel Studios) – $4.736M Weekend/$688.364M Total; 4% Drop. Super Troopers 2 (20th Century Fox/Fox Searchlight) – $3.729M Weekend/$22.214M Total; 76.3% Drop. Truth or Dare (Universal Pictures/Blumhouse Productions) – $3.268M; Weekend/$35.374M Total 58.1% Drop. Blockers (Universal Pictures) – $2.975M Weekend/$53.246M Total; 56.9% Drop. Ready Player One (Warner Bros.) –$2.563M Weekend/$130.812M Total; 65.4% Drop. Traffik (Summit Entertainment/Codeblack Films) – $1.655M Weekend/$6.787M Total; 58.9% Drop. Isle of Dogs (20th Century Fox/Fox Searchlight) – $1.427M Weekend/$27.048M Total; 59.6% Drop. Met Opera: Cendrillon (Fathom Events) – $1.3M Total.